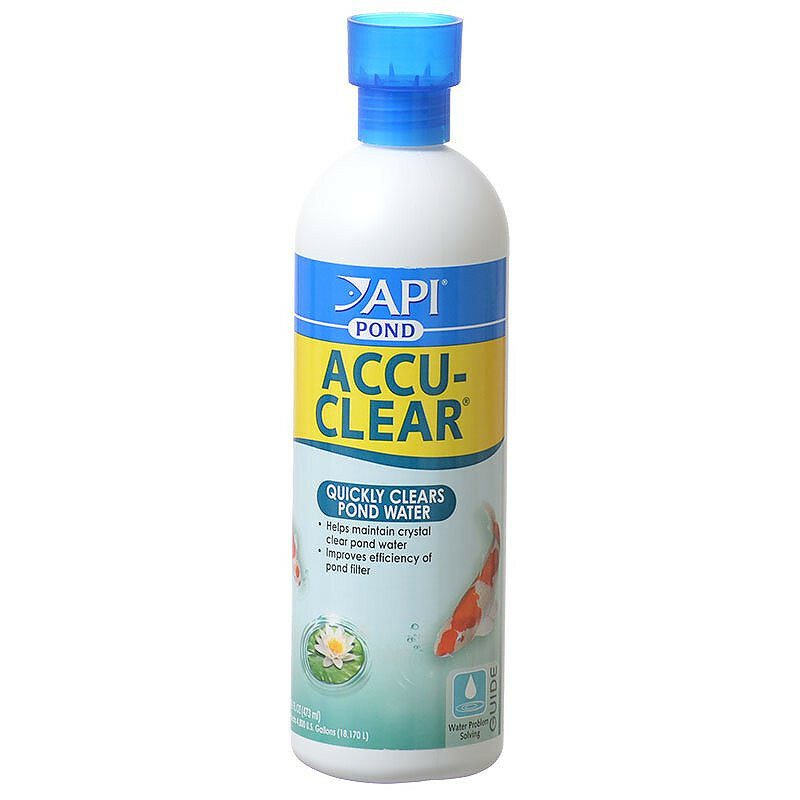 API Pond Accu-Clear quickly clears floating particles and helps clarify cloudy and murky water to help maintain a crystal clear pond. Accu-Clear helps filters function more efficiently by causing tiny suspended cloud particles in pond water to clump together. Use Pond Zyme Plus or EcoFix along with Accu-Clear for unmatched cleanliness in your pond. 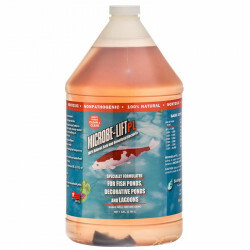 Safe for all fish, plants, pets and wildlife when used as directed. For ornamental pond use only. Directions: Add 1/4 cup (60 ml) per 600 gallons of pond water. DO NOT OVERDOSE. Overdosing will result in less effective results. Wait 24 hours before adding a second dose, if one is needed. Dose weekly to maintain water quality. Important: Before use, make sure your pond has plenty of aeration (i.e., fountain, waterfall, air pump, etc. ), especially during the hot summer months. API Pond Accu-Clear effectively removes unwanted organic matter, which produces high volumes of oxygen during the day. When using Accu-Clear, it is crucial to provide a vigorous source of oxygen to avoid fish death. Note: Formerly known as PondCare Accu-Clear. As always outstanding! Arrives quickly, no problems and it is always exactly what I needed and I don't have to go searching all the pet stores, aquatics stores for what I need for my Koi pond! Thank you! 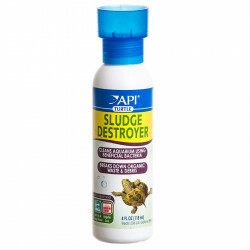 06/15/2018 04:45 pm PDTThis product worked wonders on my 4000 gallon pond. Totally made my water clear enough to see the 3.8' bottom with using the recommended dose in one week of treatment. I was skeptical, but no longer. Had to clean my filters daily, but did exactly what it said it would do. Thank you. What an easy site to use...Great deals!!!! Our koi pond had "floating dirt" all in it and nothing helped. Accu-clear worked great! The next day the pond looked so much better. Very happy with this product. My pond was very cloudy and we couldn't even see the bottom. After the first dose there was a noticeable difference. After the third the pond was 100% clean and clear. Now I can see the fish! This product is amazing and I would highly recommend it. IT works. Only you need to filter the water using bio-filter or something similar to speed up the process. After strong winds and anytime the pond water is cloudy, Accu-Clear cleans it up. Doesn't appear to bother the fish. Only problem is that the clear water invites the Blue Heron to visit. I read reviews about this product prior to purchase and was hopeful that it would work for me as some reviewers indicated it did for them. When product arrived I followed label directions and put it in my pond. The next day I checked and found some clarity, so I added some more. The next day I checked and there was no improvement from the prior day. I contacted the manufacturer and was told to clean the filter, which I had done prior to second application. When I informed him that I did that, he suggested that I add more product and a finer filter element. Here it is a week later and I'm where I was after the initial treatment. For me, I would say it does not work as claimed. We buy it by the gallon to help clear the water in our 7000-gallon koi pond. Works well after using algaecide or whenever water begins to look green or murky. We keep our chemical use to a minimum, but this is definitely one we keep on the list! These 2 products work great, have not found any other products that would clear up the algae in our pond, we have been trying for 3 years to find the right products, these really do a great job, we can see our fish and they do not have to swim blind. 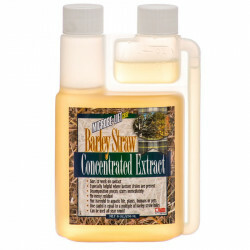 Every Pond Care product I have used delivers what is promised. My pond is clear and healthy! We have used this item since we've had a pond - we won't use anything else! My pond was so cloudy I couldnt see the bottom. After one treatment with accu-clear it started clearing the next day. In two days it was crystal clear. A great product. I have used PondCare Algaefix for years and love it. I can tell when I have neglected to used it, my water starts to get algae. Once I put my first dose in the water is clearer within 24 hours. I would not change this product for anything. I have worked hard on my Koi pond and nothing is more enjoyable then to see my Koi fish swimming. Swear by this product !!!! I have been using this product for years, and have nothing but rave reviews for it. I spend my time enjoying my ponds instead of cleaning them. This is my first time to use this site, but so far can see the savings. I use Pond Care Acu clear all the time in my Koi pond. The stuff is amazing and I recommend it ti everyone. I also tell them to buy from Pet Mountain due to the LOWEST costs.